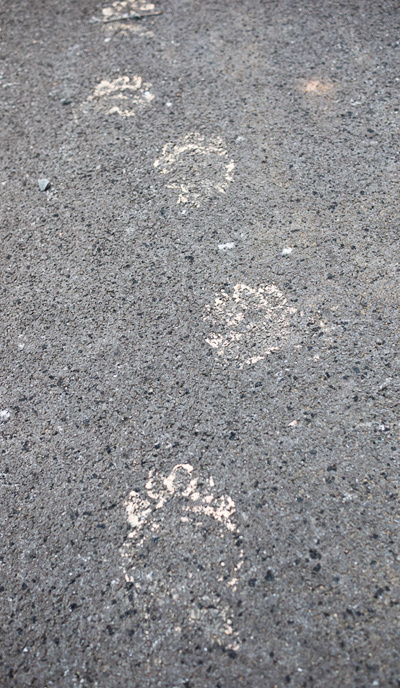 This morning, out walking the usual loop through the deserted development behind my cabin, suddenly there are big, muddy bear tracks crossing the road! There is a mud-hole from recent rains beside the road that he plowed through to get his muddy feet. The boundary of the Great Smoky Mountains National Park is less than a mile away, but it’s hard to imagine that right here along Glades Road in Gatlinburg we have bears prowling around at night. Sometimes we hear trash cans being ransacked, and my dog showed up one day with claw scratches along her back.